Oh yes – how could I forget that we have a brand new bathroom! After three long days of dust, sweat and tears, the bath – in which I loved to wallow and dream in relaxed stupor – has been removed. In its place lies a smart bristling shower, tuned beautifully to emit just the right temperature. And what’s more, a fold-up seat is included for our convenience. Neither of us has admitted to sitting on it yet. But I’ve discovered a good use: I can prop my foot on it while soaping between my toes, thus saving my back and avoiding twinges of vertigo. I wish I could include a photo – but the space is too cramped for a complete look, and who wants to see a dull shower, anyway. Instead, here’s a piece from a diary I wrote 18 months ago on a visit to Kenya to research for my new book, Grass Shoots. 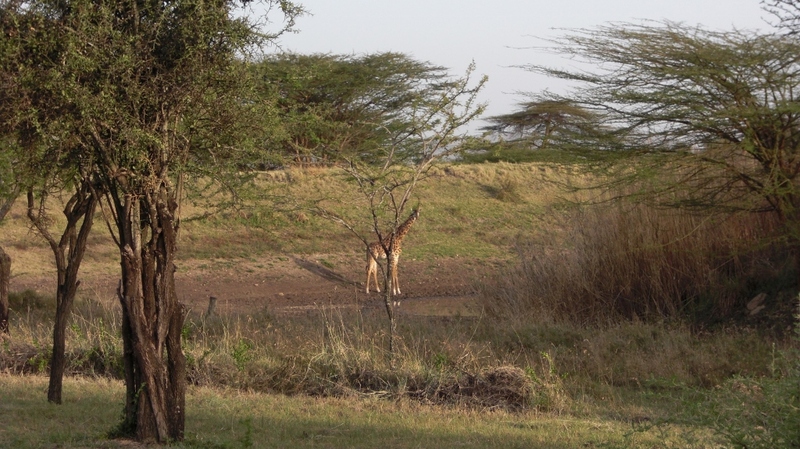 I am in Maanzoni – a true haven twenty odd miles south of Nairobi – communing with nature. Every morning the animals pass through the not-quite-dried-up dam. A herd of fifty impala, zebra, giraffe, gazelles. The island is no longer an island because of the severe drought, but a family of hyenas still live there, and if I’m quick at dusk and dawn, I catch a glimpse of them sneaking in and out. The birds occupy most of my time, distracting me from writing my new novel and causing me to make daily forays into the bush by car and on foot, armed with binoculars. It is decades since I’ve seen the majestic kori bustard, or a secretary bird, that eater of snakes. I watch a goshawk make many fruitless tries to catch a partridge, before changing focus to a rabbit. The silly bird falls at least three feet short at every dive. But all is not completely well in Africa – we are in the real world, after all. 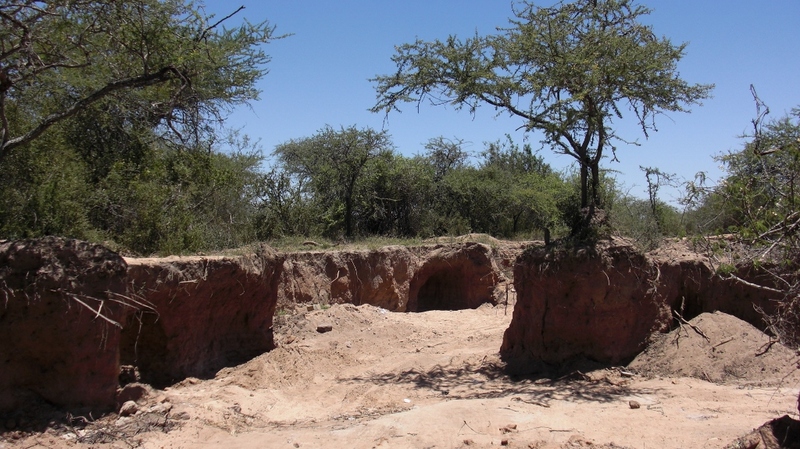 Poachers snare an eland and get away with the meat. A hyena runs amok and bites a night guard. And opportunist contractors anxious to make as much money as possible out of the booming Nairobi construction industry, send in lorries to steal away the sand. Great gashes have been made in an area of pristine thorn bush. Tunnels undermine the roots. This gives you a little taster of what’s to come in my new book, which dares to provide a way forward. My editor is the wonderful Sue Barnard, whose book The Ghostly Father, is one of my favourite reads. I feel so honoured. We have already completed the first edit, and I’ll let you know as soon as there is further news. To reiterate what I said last month, I’m starting a Newsletter. There’s a limited offer of a FREE short story, which bridges the gap between Breath of Africa (have you noticed the new cover?) and Grass Shoots. It is guaranteed to whet your appetite. To earn this gift, you will of course need to let me have your email address. Please click on my website, http://janebwye.com/ and subscribe to my newsletter. The offer closes on 31st October, so don’t delay! The short story CRADLE OF MAN will wing its way to you once you have answered a simple question. This entry was posted in Authors, Breath of Africa, Grass Shoots and tagged bathroom, Breath of Africa, Cradle of Man, Free Offer, Kenya, kori bustard, Maanzoni, Nairobi, newsletter, secretary bird, short story, Sue Barnard, The Ghostly Father. Bookmark the permalink.